"[Event Battle] Adult and lower no-duplicates tournament"
At 2:00 PM January 15th Japanese Standard Time the second Hacker's Memory tournament Shin'nen! 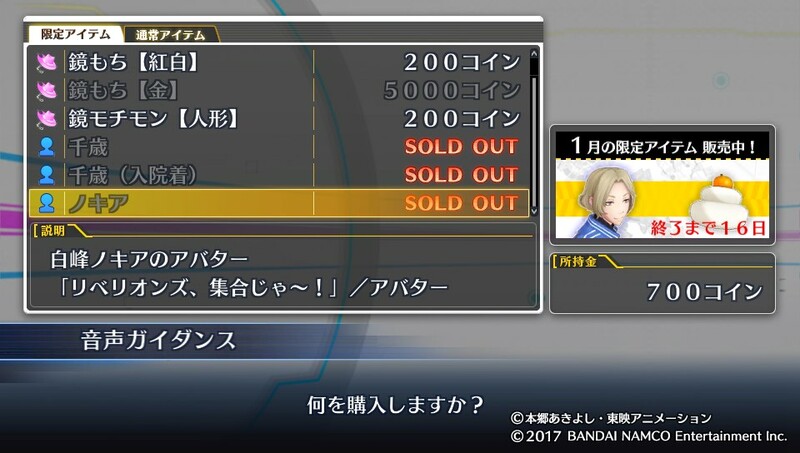 Akemashite Omegamon came to a close, and the game's third event battle began. The theme of the next tournament, which will continue through the 31st, is "Adults and lower/No duplicates." Tamers are permitted to use Shoutmon (who has no level, but evolves from Koromon) but not Omega Shoutmon. Sistermon Noir and Blanc's respective Awakened forms may also be used, as can the Child-level Lucemon. 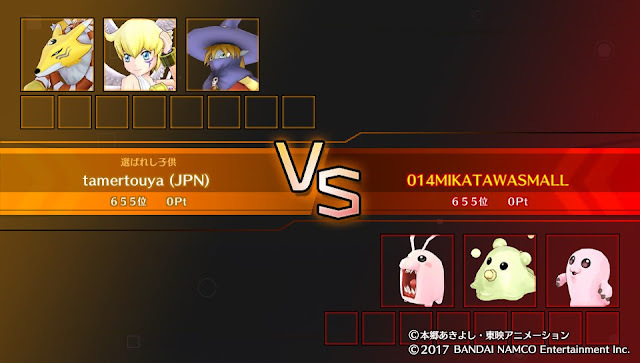 The Memory size for most Adult-level Digimon ranges from 6~8, while the Awakened Sistermons are both 18 Memory in size, and Lucemon is 14. These are the new Battle Missions for the tournament. The reward for completing all Battle Missions is, once again, a King Crown. 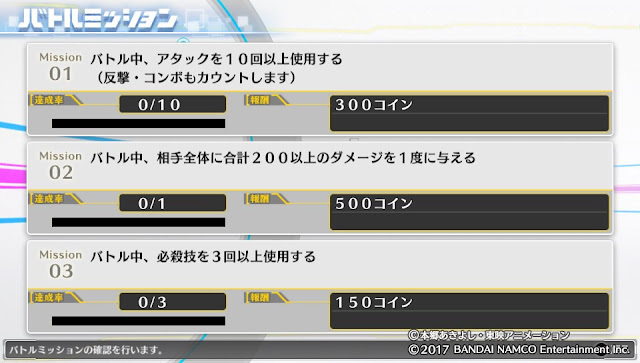 The aforementioned Lucemon is ideal for meeting all of the second mission requirements, as a single Accel Boosted Grand Cross can complete all three ranks in one battle. The rewards in the coin shop remain the same as the previous month, including the Chitose and Nokia avatars. The contents will change along with the event itself on February 1st. Digimon Story Cyber Sleuth: Hacker's Memory will launch worldwide on the PlayStation 4 and PlayStation Vita January 19th, 2018.